...or a local Zenair Distributor near you! The Aircraft: This newly-available factory-assembled Zenair design is fully engineered, assembled and tested in accordance with Germany's stringent and widely accepted LTF-UL standards (Kennblatt No. 61196.3). The ready-to-fly CH 650Ei now qualifies as a new-generation ultralight (ULM) in most of Europe. Based on the popular CH 650 low-wing cross-country cruiser, the 650Ei is optimized for European ULM regulations and offers roomy side-by-side seating with the Zodiac's trade- mark “bubble canopy” offering sailplane-like 360 degree visibility; initial power by Rotax. ﻿﻿The most affordable all-metal 2-seat low-wing ULM! The 650Ei was first introduced at AeroFriedrichshafen in 2012! __The Zenair CH 650Ei: This model is professionally manufactured and finished in Europe by ICP, the well-established Italian manufacturer of all-metal light aircraft. The classic all-metal design is ideal for individual and club ownership as well as for flying schools. Starting price, before taxes, for a state-of-the-art ICP-built Zenair is under 58,000 Euros. Contact your nearest Distributor for options and availability! 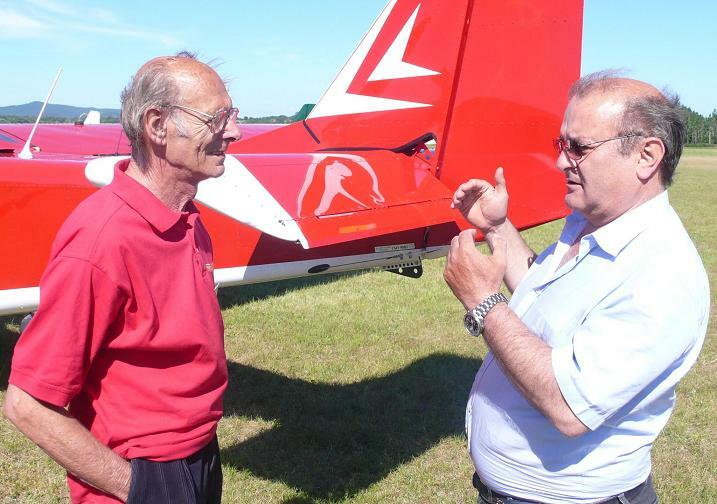 The History: Collaboration between Zenair and key personnel at ICP actually pre-dates the beginning of ICP as an aviation manufacturer; Eddy and Loredana (below) were very successful distributors of the STOL CH 701 in the early 1990s when still doing business as Chikinox. More recently, ICP began working with Chris Heintz and Zenair engineers again in early 2010, to adapt the current CH 650E design to ICP’s world-class manufacturing techniques and procedures. Eddy and Loradana (ICP) with Chris, after another planning meeting in France (May 2011). 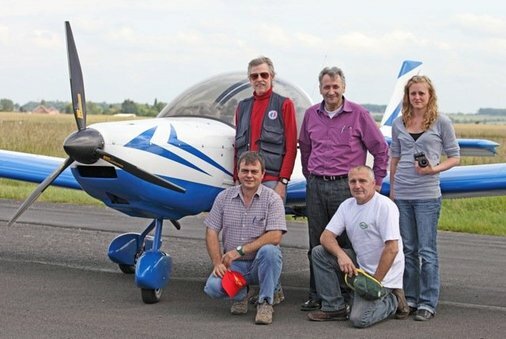 The ULM-Technologie team with their brand new Zenair CH 650Ei demo aircraft! For additional distribution information (outside Europe), contact Zenair Directly. Availability: The CH 650Ei is optimized to meet European ULM regulations and airworthiness standards and is therefore not available outside Europe. For all other locations, contact Zenair Limited or Zenith Aircraft Co. for the stronger and more powerful Zodiac CH 650 B.